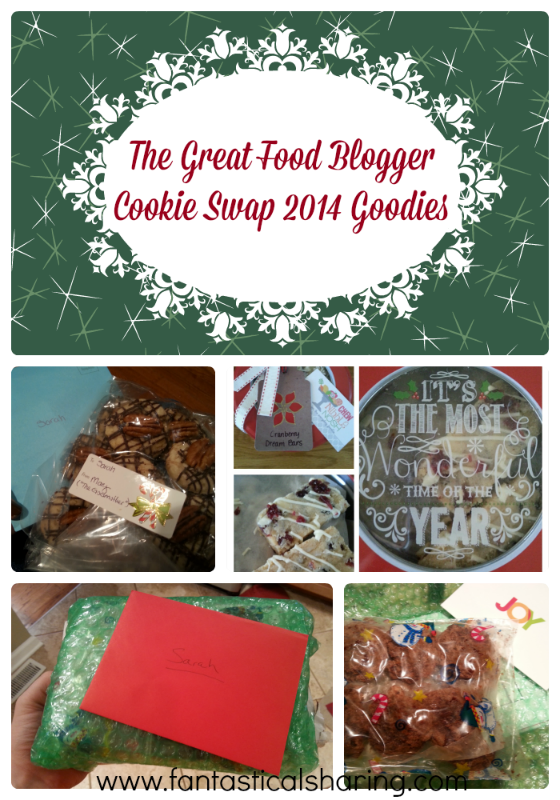 So I am participating for the second year in a row in the Great Food Blogger Cookie Swap - it's the fourth annual year and I love it. It's one of my most favorite things to do! Not only do I get to make cookies and send them off to three people secretly, but I also get to receive three secret packages of cookies. My cookies were sent to Shelby of The Life and Loves of Grumpy's Honeybunch, Sue of It's Okay to Eat the Cupcake, and Liz of Floating Kitchen. Because I had received one of my batches in an adorable Christmas tin before sending mine out, I decided to find some cute tins of my own to send off to my matches. I honestly wish I would've picked up two of each because I fell in love with them. So cute :) I used the recipe cards Lindsay and Julie provided and some very cute holiday Ziploc baggies to keep my cookies fresh. 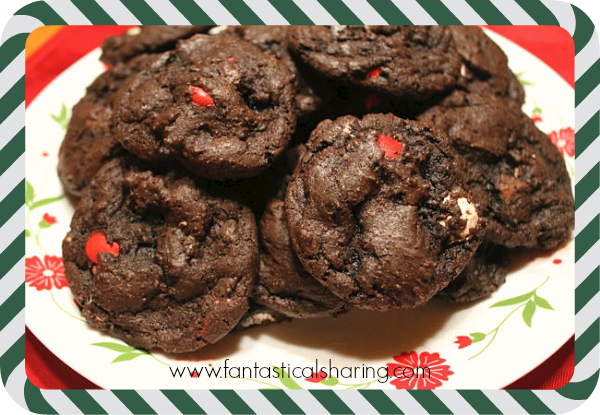 So the cookies I chose to make were a very festive kind: Dark Chocolate Peppermint M&M Cookies. I've had them pinned for forever (surprise, surprise...) and really wanted to make them. 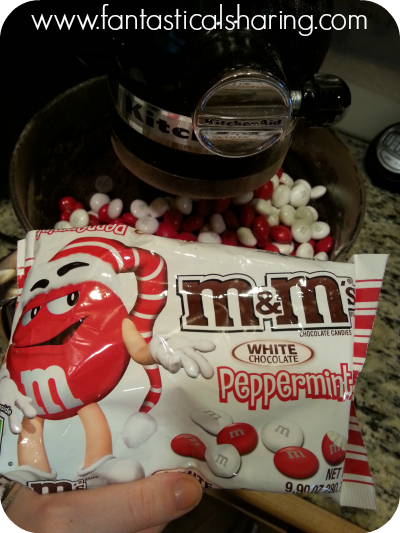 I had trouble finding the peppermint M&Ms until I made the trip out to get some cute tins. I doubled the batch (although I'm sharing a single batch) and ended up with a ton of cookies. I sent a dozen to each of my matches, 20 to our dear friends in New York, and I packed a dozen to take to my mom-in-law's. I still had quite a few leftover. Which is totally fine by me! These cookies were so decadent and the M&Ms...I am so glad that I have a second bag hidden away because they are going to take so much willpower to save to utilize for a super fantastical recipe in the near future. They are just calling to me to come eat them. Mix together flour, cocoa powder, baking soda, salt, and coffee in a bowl. Set aside. Then add eggs and vanilla and mix until combined. Add flour mixture to butter mixture and mix until combined. Stir in M&Ms and chocolate chips. 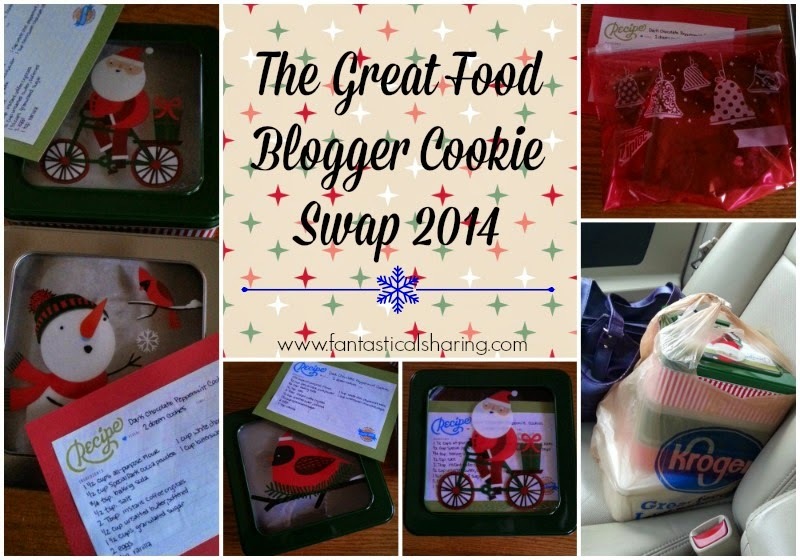 Scoop dough with a cookie scooper onto a parchment-lined or Silpat-lined cookie sheet. Bake at 350* for 10 to 12 minutes. Rest for 2 minutes on cookie sheet before removing to wire rack to finish cooling. 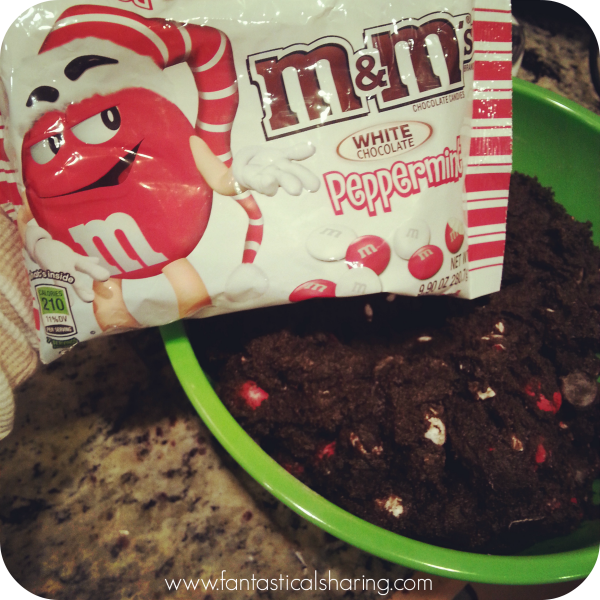 Note: You can also add some M&Ms to the top of each scoop after putting them onto the cookie sheet if you want. I didn't do this though. And for my goodies...I got Salted Chocolate Truffle Cookies from Colleen of Secrets from a Cookie Princess (bottom two pics), Cranberry Dream Bars from Christine of Chew Nibble Nosh (the collage on the top right), and Shortbread Turtle Thumbprint Cookies from Mary of Goodie Godmother (top left). All of them were absolutely fantastic. 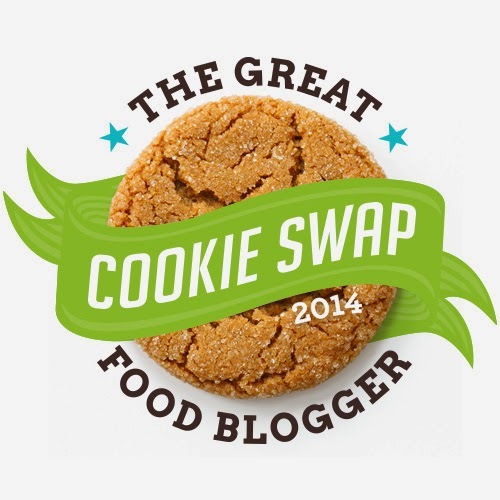 Please excuse the errors in cookie names - I will update any mistakes as the recipes from my lovely cookie senders are posted - and, of course, link to the recipes that I will be saving! None of them lasted very long at all.